Agra Tandoori Restaurant: $35 for an Indian Dinner for Two or $65 for Four. Four Options Available. 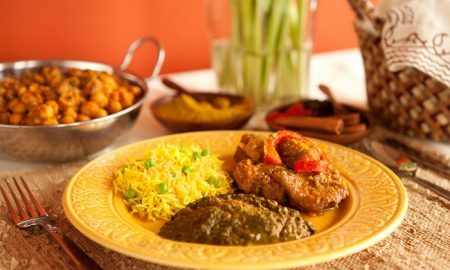 LivingSocial Vancouver Daily Deal of the Day: Agra Tandoori Restaurant: $35 for an Indian Dinner for Two or $65 for Four. Four Options Available. It’s no secret why the tandoor is a staple of Indian eateries: the clay oven sears food while sealing in succulent juices and rich flavours. Agra Tandoori Restaurant’s variety of traditional dishes puts the cooking device to copious use. Prawns are popped in to soak up hints of ginger and garlic, while lamb marinates overnight in defiance of the chef’s lights-out policy. But the tandoor is far from the tool the eatery uses to give its food a distinctive flavour. A tawa griddle sears bone-in chicken. Seasoned eggplant bakes over charcoal. Chilled desserts of falooda kulfi never touch heat at all, instead drizzling rose syrup and pistachios atop a fanciful pileup of ice cream and spaghetti-like noodles. Feasts of all temperatures are served inside Agra’s comfortable dining room, where colourful artwork surrounds tables draped in white linen. Promotional value expires 120 days after purchase. Amount paid never expires. Valid only for tables of 2 or more persons. Reservation required. Subject to availability. Limit 1 per person, may buy 1 additional as gift(s). May be repurchased every 30 days. Limit 1 per visit. Limit 1 per table. Valid only for option purchased. Merchant is solely responsible to purchasers for the care and quality of the advertised goods and services.